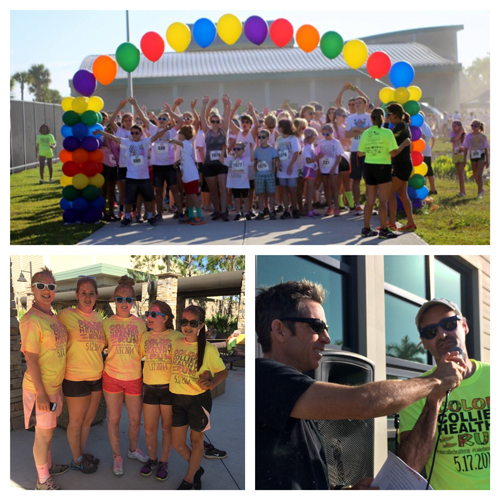 We are excited to announce the 3rd Annual Color Collier Healthy Run, a non competitive family friendly event will be Saturday, April 18th, 2015. Runners and walkers will begin the 2 mile run/walk clean. At the first station participants will be splattered in Highlighter Yellow, at the second, they will doused in Caribbean Blue, followed by Orange, Green, Hot Pink and Purple. 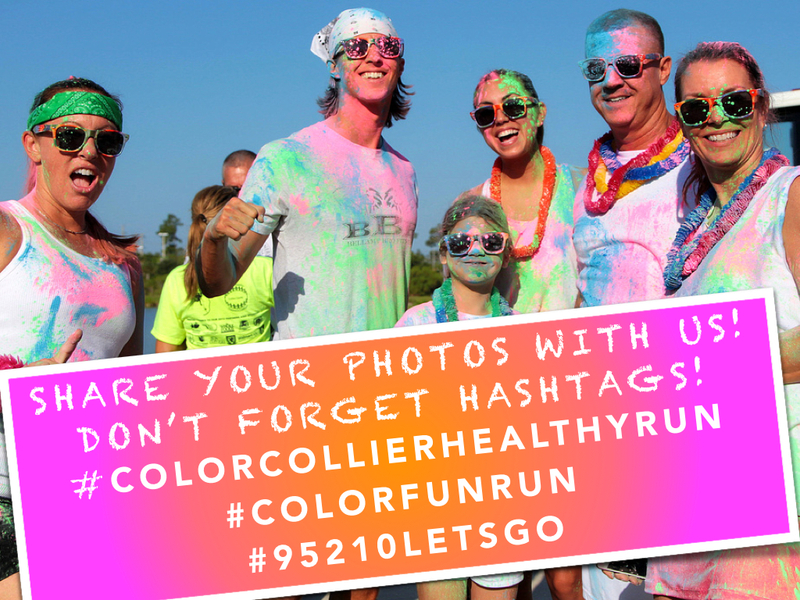 ColorCollierHealthyRUN is all about getting out and having silly, colorful fun!!! SPACE LIMITED – 1,000 PARTICIPANTS!! SHIRTS, SUNGLASSES, PAINT PACKAGE & BIB GUARANTEED FOR REGISTRANTS! Special thanks to Gulf Coast Runners for partnering with us to make this event possible. For pictures from last year please go to the Naples Daily New Glen Christopher’s website or our Facebook page. Thursday, April 16th, 2015 from 9:30 a.m. – 7:00 p.m.
Friday, April 17th, 2015 from 10:00 a.m. – 5:00 p.m.
What to bring: Confirmation ticket – If you need to pick up a packet for a friend, be sure to have their confirmation ticket as well. If you can’t locate your ticket it is possible for us to look up your information but that can take longer so it’s best to bring your ticket. *We highly recommend coming to packet pickup on Friday. If you can’t come, it would be a good idea to have a friend pick up your packet for you. (They will need your race ticket). 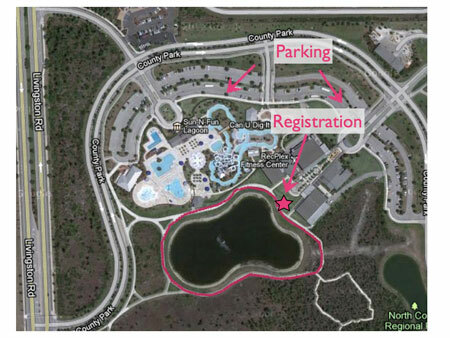 If picking up your packet on Friday is not an option, you may pick it up the morning of the event starting at 8:00 a.m. There will be multiple 3 color stations throughout the course. This is where you’ll be blasted with a variety of colors. As with any substance, you’ll want to keep it out of your eyes and mouth. Many of our runners choose to where glasses or protective eyewear to protect their eyes and a bandanna to keep the color out of their mouths. The color we use is made in the USA and is 100% safe. Do not stop in the color stations. This will prevent a bottleneck for runners behind you. Don’t worry there will be plenty of color throughout the course and at the finish line party. At the before the race we’ll have a color throw. This is where you’ll want to use your color pack! Extra color packs will be available for sale but they are first-come, first-serve $5.00 each (or 5 packs at $20). We encourage dancing and skipping to your hearts delight, especially at the finish line party. Water and fruit will be provided at the finish line area only! – Courtesy of Whole Foods Market. 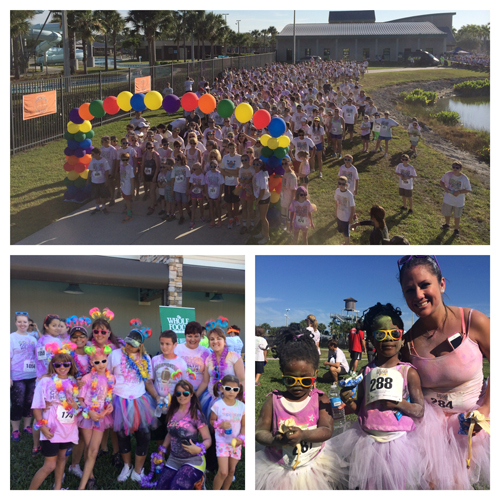 For more information about the ColorCollierHealthyRUN, please call us or e-mail us at: 239-537-3436 and Info@safehealthychildren.org. 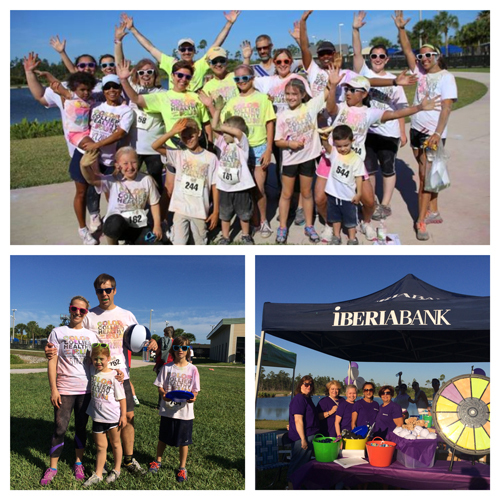 Thanks to our sponsors: IBERIA Bank (Purple Station Sponsor), Naples Eyes Physicians – Dr. Lynn K. Byerly (Glasses Sponsor), Arthrex (Hot Pink Station Sponsor) and Snyderman Shoes of Naples. The Color Collier Healthy Run event is an effort to increase physical activity and decrease the threat of obesity among kids. Did you know? Childhood obesity has more than tripled in the past 30 years. The percentage of children aged 6–11 years in the United States who were obese increased from 7% in 1980 to nearly 20% in 2008. Similarly, the percentage of adolescents aged 12–19 years who were obese increased from 5% to 18% over the same period. 100 % of the proceeds will go to the NCH Safe & Healthy Children’s Coalition of Collier County. The Coalition provides a conduit for coordinating individuals, agencies and businesses to address the major issues adversely impacting Collier County youth. NCH Healthcare System is proud to serve as the lead partner of this engaged and enthusiastic group. ← Our Coalition is a United Way of Collier County Agency!